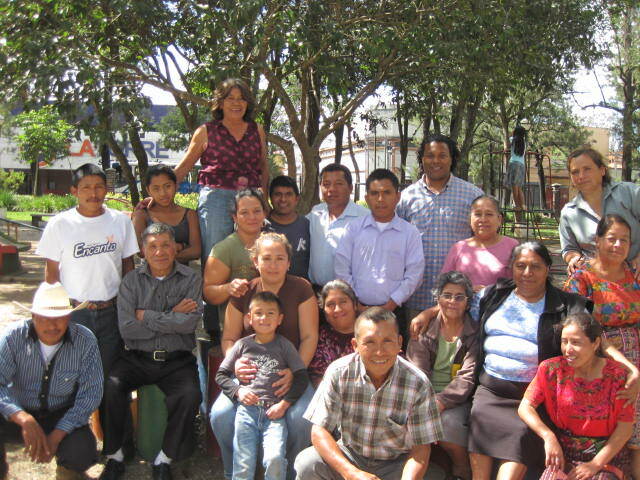 On February 22-23, representatives from seven Sister Parish communities in Guatemala gathered for meetings and ecumenical worship. Representatives had the opportunity to view the documentary Generations in Solidarity and give feedback. We also enjoyed looking at video and photos from 2013 Sister Parish delegations and events. A presenter came to talk about the root causes of migration and one community’s efforts to provide local alternatives. The presentation included some lively discussion, as a number of Sister Parish member communities have high rates of migration. The representatives also had the opportunity to talk about how to support a number of families dealing with recent tragedies, as people come together through Sister Parish to share both joy and grief. Read the full report from the meeting.